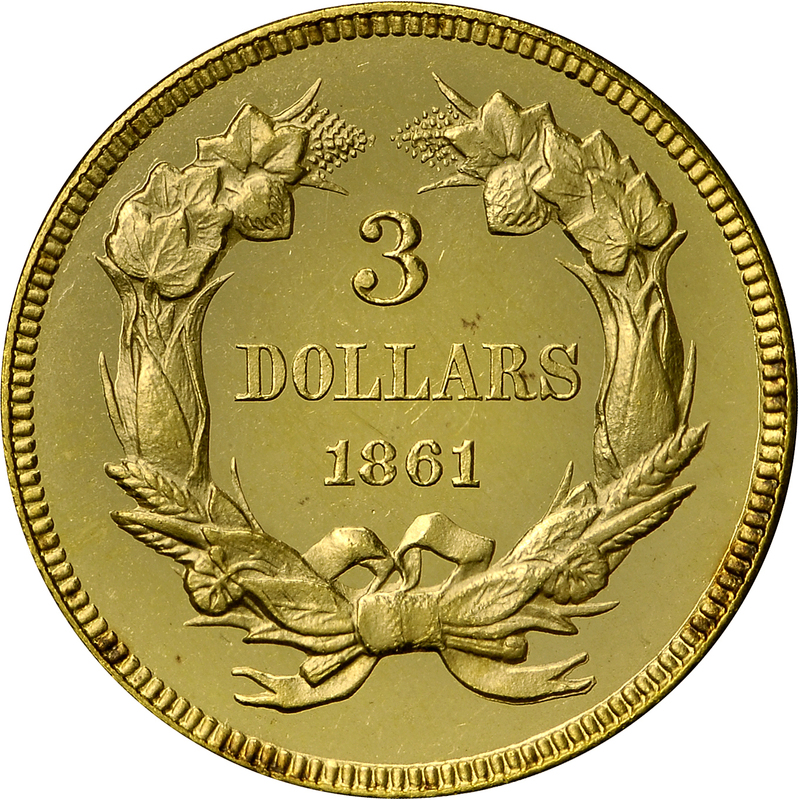 Only about 10 Proofs of this issue are known today, suggesting an original distribution in the range of 40 coins-despite the recorded mintage of 113 such Proofs. 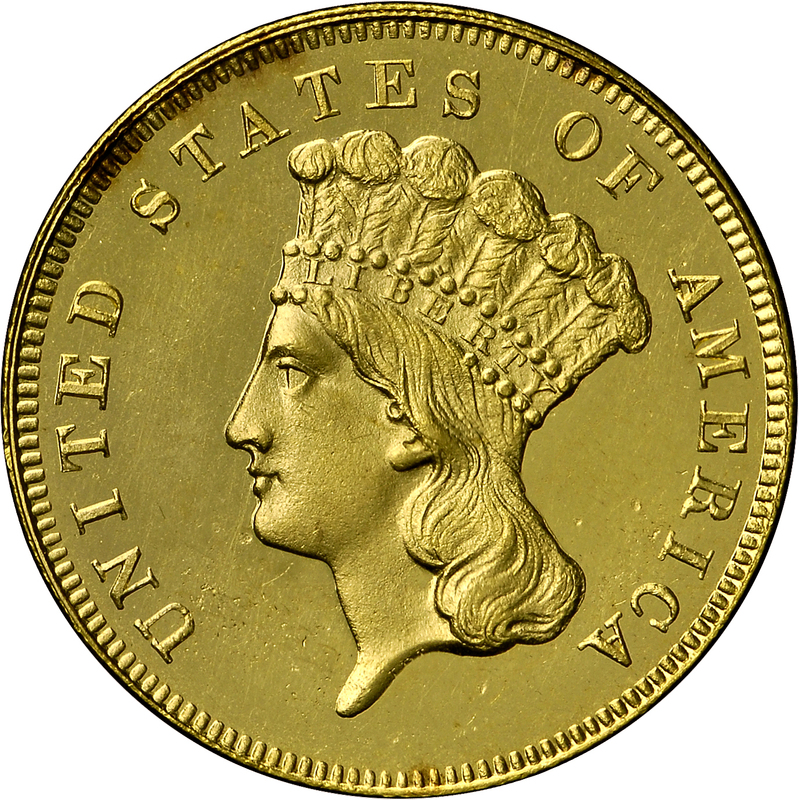 Among the Proof population are examples in the Smithsonian Institution and the American Numismatic Society. 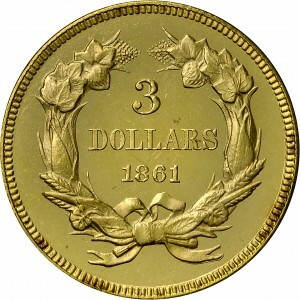 This is a low-mintage circulation strike issue as well, with a total production of 5,959 coins. 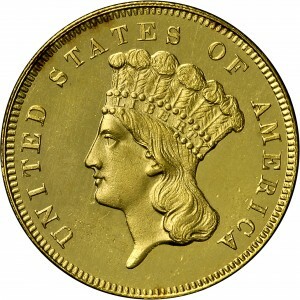 This gem Proof is possibly the finest known and is similar to the Ed Trompeter coin in terms of overall quality. A third gem quality coin also survives. Purchased from Abe Kosoff, July 23, 1973.